Slip business card into these clear poly pockets to personalize brochures, ring binders or business presentations. 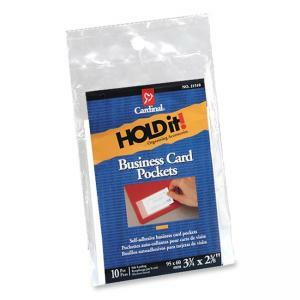 Self-adhesive backing holds them firmly in place. Made of high-quality clear poly with self-adhesive that is compatible with all material surfaces including PVC vinyl (ring binders and pad holders).